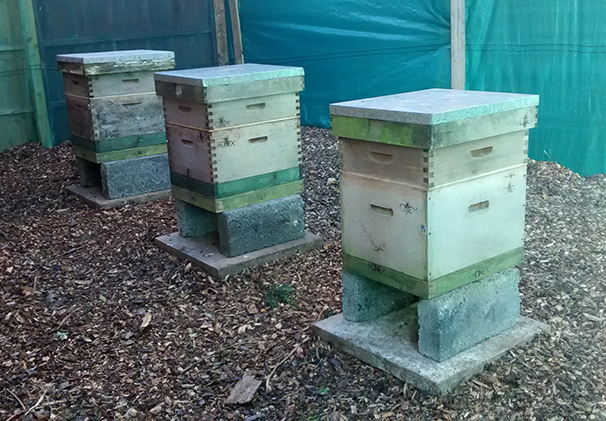 In Evington we have three beehives that are in a netted area so that you can observe in safety. Bees can be kept anywhere from country orchards to urban gardens to small city balconies. It is a common misconception that you need a large garden or countryside nearby. Although this can make siting your bees easier, urban gardens are arguably better. Nectar and pollen can be gathered from a wide variety of plants. At Graceworks we are actively planting a range of pollinators so that the bees have a rich source of food. You typically have to spend around an hour per week with a hive. You can do this at the weekend or, if the weather is still good, when you return from work. Unlike keeping other animals, the bees mostly look after themselves though you need to be checking them weekly through the season to monitor for swarming.